Your future is created by what you do today, not tomorrow. Take control of your future with Performance Education’s Professional Year Are you a recent international graduate from an Australian university looking to start your career in Australia? Are you finding migration options confusing and the competitive job market challenging? You can achieve your dreams and more with Australia’s leading Professional Year provider – our 21,000 graduates have discovered nothing prepares you better for a life in Australia than a PY with Performance Education. PE has become Australia’s #1 Professional Year provider by helping our students to achieve much more than just migration points. At PE we know how hard it can be, and we are passionate about changing the employment landscape for international graduates. We focus on helping you become more than just ‘job ready’. Through employability training, workplace knowledge and a relevant and practical internship placement, we’ll give you a platform to launch your career in Australia. The Professional Year program is a Department of Home Affairs (DHA) initiative which is designed for graduates just like you. 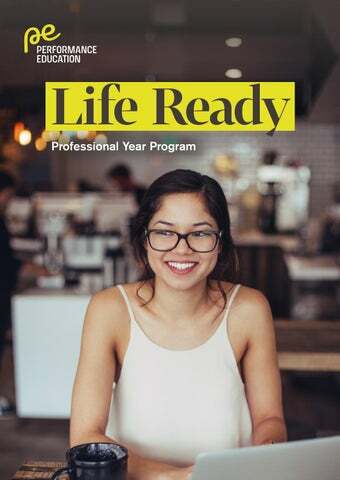 Developed by CPA Australia, Chartered Accountants Australia and New Zealand, the Institute of Public Accountants, and the Australian Computer Society, the Accounting Professional Year Program and ACS (IT) Professional Year program provides graduates with a guided pathway from university to employment in Australia. Upon completion of the Professional Year program, qualifying candidates may also be eligible to receive points towards their permanent residency under the Skilled Migration pathway. From here and now, to where you want to be The PE Professional Year program is different to other PY programs. Designed and written by industry experts from an employer perspective, we know what employers today are demanding and help you stand out! Our program is split into two key stages and includes elements not offered anywhere else. You’ll undertake face-to-face training and a practical internship experience - all designed to give you an employability edge in a competitive job market. Australian Business Culture focuses on developing communication skills in Australian multicultural and diverse work environments. Accelerating Interview Skills helps you master the job selection process including interview skills, employer orientation, professional development, networking and building workplace relationships. Australian Workplace Environment provides a perspective of the Australian workplace by increasing your understanding of legislation and norms. Applying Job Search Skills focuses on how to secure employment through targeting job opportunities, highlighting your strengths and weaknesses, developing a tailored job application and more. Professional Meetings & Presentations develops your skills to organise, document and participate effectively in business meetings, and plan and deliver presentations. Professional Workplace Writing hones your email and report writing skills so you create good first impressions and maintain reputations with stakeholders. Professional Workplace Communication develops your confidence, understanding of client’s needs and ability to establish rapport. It enhances language use and teaches active listening. Practical Applications helps refine and hone your skills learnt in previous modules, with a focus on becoming career ready and confident in your professional business skills prior to your internship. This is a 12 week Work Integrated Learning placement to gain the practical experience of working in your nominated profession in Australia. Our specialist internships team will match you to the right placement based on your individual training needs and career goals, with one of our over 5,750 host companies. Not all Professional Year programs are equal Choose the Professional Year program that gives you more We know that deciding on a provider for your Professional Year course can be overwhelming. So to help, here are a few reasons why more international students choose the PE Professional Year over any other. First Class Reputation PE was one of the first approved Professional Year providers, and is recognised as a leading premium provider nationally of the Accounting Professional Year Program and ACS (IT) Professional Year course. More than 21,000 students have chosen us for our outstanding reputation, trusted experience and exceptional graduate outcomes. We take graduate feedback, satisfaction and outcomes seriously. We are the only Professional Year provider to survey our graduates through an independent research company; we proudly publish our exceptional program outcomes and use feedback to drive improvements. 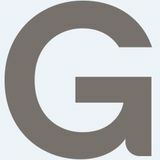 Outstanding Employment Outcomes PE is part of Gradability, the largest graduate employability specialist in Australia. Our whole focus is on equipping students with the right skills and experience to gain employment and truly succeed in their chosen career. Our Professional Year curriculum is designed from an employer perspective which gives you an unfair advantage in a competitive job market. As a result, our Professional Year graduates experience outstanding employment outcomes. Professional Year course design to the type of internship you receive, it is all about you and your pathway to your professional career in Australia. We will support you along your journey to success with a passionate team of trainers, consultants and support team members including student welfare and customer experience experts. We also provide social and networking opportunities so you can make the most of your Professional Year. We are Highly Recommended To date, Performance Education has enrolled 21,000 students in its Professional Year programs in Accounting and IT – and an amazing 95% of our graduates say they would recommend the Performance Education Professional Year programs! Guaranteed Monthly Intakes You take your future seriously, and so do we! So you can get started quickly with your Professional Year course we have intake dates every four weeks. This is guaranteed – we never cancel an intake. Flexible Timetable and Payments To help you juggle your work/life/study balance, as well as your finances, PE offers a choice of weekday and weekend classes to suit your needs. Our flexible payment options include monthly plans as well as upfront payments. The Right Internship (For YOU) We understand that the Work Integrated Learning placement, for many, is the most important part of the Professional Year course. We will find the right host company and internship placement for you to help you kick-start your professional career in Australia. We take into consideration your career goals, specific area of expertise, relevant experience, learning objectives, training needs and location. Performance Education is an approved Accounting & IT Professional Year provider with the following professional bodies.